This group of campaigners came together during anti-fracking demonstrations and formed as ‘The Nanas’ in 2014 when they ‘Occupied’ a field a 5 in the morning under the poor watchfulness of fracking security. 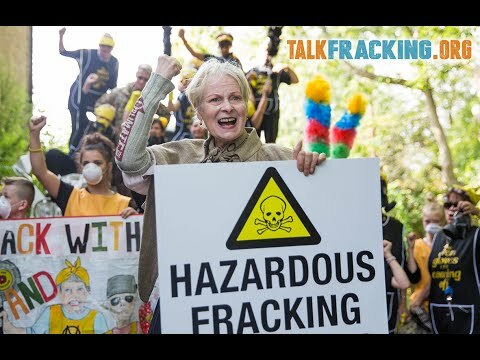 Utilising a blend of humour, art, knitting and tea, The Nanas visit anti fracking sites and license areas to lend support and host meetings and have spent the past 800 days in protests actions at the growing site in Lancashire. In the 8 years since fracking first came to the UK, operations have stalled and hit brick walls as a direct result of anti fracking campaigners. The focus is always on building co-operation within the communities impacted; bringing together activists and residents and finding inclusive ways in which every member of that community can find a way to be heard. Currently, The Nanas are attempting to find their rhythm and form a Nana Samba Band – they can’t assure they’ll be ready in time for Greenbelt 2019 but they’ll certainly make some noise one way or another.